Runway ready: Any lip color works fine if you’re going for a runway look, but an untraditional hue adds a fashion-forward edge. Take inspiration from aphrodisiacdeity on Instagram. She mastered this beauty trend with a lavender cream finish. The matching lavender eyebrow highlight and hair color complement the lip stain and pull the whole look together. Don’t be afraid to heavy-handedly smudge your lip color if you want to look like MAC model. Medium smudge: Go for a less messy look by using a bold lip color and smudging it out slightly in select areas. Beauty blogger umaimamehtab effortlessly shows us how to rock the lollipop look with her scarlet red lip gloss. The glossy finish reflects the light in an ethereal way and adds a level of chic to this youthful trend. Note how she mainly smudged the color around her top lip to create an ombré appearance. Go subtle: If you’re on the shier side, a barely-there lollipop look would suit you best. Youtube sensation Celia Leslie shows us that smeared lipstick can be a cute addition to a makeup routine. She smudges her lip stain slightly above her natural lip line, giving off familiar over-lined vibes. Going lighter at the corners of the mouth make it look like you’ve worn your lip color a long time, and also adds dimension, making lips appear fuller. At least now you can kiss your love on date night without worrying about smeared lipstick. Lollipop lips are a life saver for those who have unsteady hands when it comes to applying lip liner. Whatever happens to your lip color, just be confident. Being a little messy is trendier than ever! You don’t need to be a masterful makeup artist to look like a celebrity beauty. 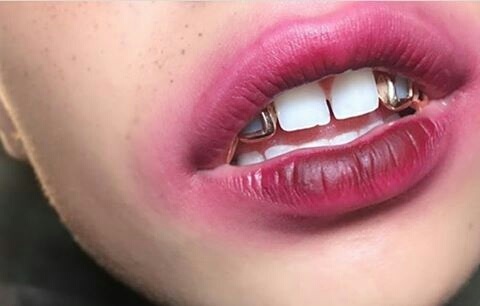 How do you feel about lollipop lips? Are willing to give this look a try? Tell us in the comments below!